Product #20556 | SKU 68-013144 | 0.0 (no ratings yet) Thanks for your rating! 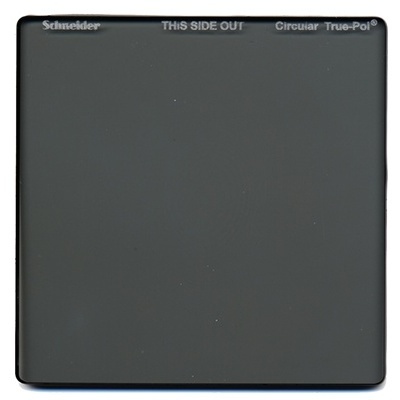 The Schneider Circular True-Polarizing Filter (4 x 4") is by far the most effective polarizer for motion picture and television cameras. Having an extinction ratio of ER 374, the Schneider True-Pol is 12- times more effective than other polarizing filters, and is unmatched in its ability. The polarizing film in a Schneider True-Pol filter is laminated between two pieces of Schneider's crystal-clear, water-white optical glass. The filter is protected against edge-chipping and delamination by Schneider's unique Edge Seal, which also effectively reduces edge-reflections and flare.